Bathing was considered to be an almost sacred act in Ottoman Turkey. The Ottomans did not only have elaborate baths, but they also had a variety of bath accessories and skin care products. Amongst these items were Turkish natural soaps that were popularly used by the public. Turkish natural soap can be classified into three categories. The traditional natural soap is made using cold pressed olive oil along with laurel oil. It is derived by making these ingredients undergo a hot process. The second category of soap is made using extra virgin oil and these were available in the scented and unscented variety. The third category was of vegetable oil natural soap bars, which were also available in the scented and unscented variety. Turkish soaps are still preferred by people who look for natural alternatives to the chemically enhanced soap bars of today. This is because they are free from animal fat such as tallow and hardening chemicals. Furthermore, no synthetic perfumes or artificial coloring is used to make the soaps more pleasing on the surface. The environment friendly soaps are easy on the skin and the environment as well, because they are biodegradable. Since these soaps were made at home or at specific facilities, they were not tested on animals prior to being used, unlike many of the contemporary soaps that you will be able to find today. It is believed that the first Turkish natural soaps were made using olive oil. The Turks began producing their natural soaps in the 1500s. They ensured that they used 100% olive oil only in order to develop a high quality product. This kind of soap produces a somewhat slimy lather, although it is regarded by many as being smooth and creamy. The feel of the lather is definitely different from the commercial soap bars that you will be able to find in the market today. There are many different recipes available for making Turkish natural soap. Each region had its own specifics when it came to making soap. Often they would make use of a unique blend of oils to produce soap that has an array of qualities. However in order to get it right, the use of different kinds of oils must be well balanced. 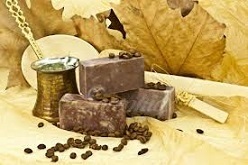 Olive oil forms the base material for Turkish natural soap and other oils are added to create a well- balanced soap bar. Amongst the popular additions to the recipe was the use of palm oil, which helped to make the soap bar hard and consequently enabled it to produce a more stable lather. Coconut oil can be added to give the lather a bubbly feel. Usually olive oil makes up almost 80% of the content in Turkish natural soap. The demand for Turkish natural soaps is high in today’s times, especially as many health conscious people seek an alternative to the chemically enhanced commercial soaps available in the market today. You will be able to find a wide variety of manufacturers that produce their own variety of Turkish natural soaps for selling.